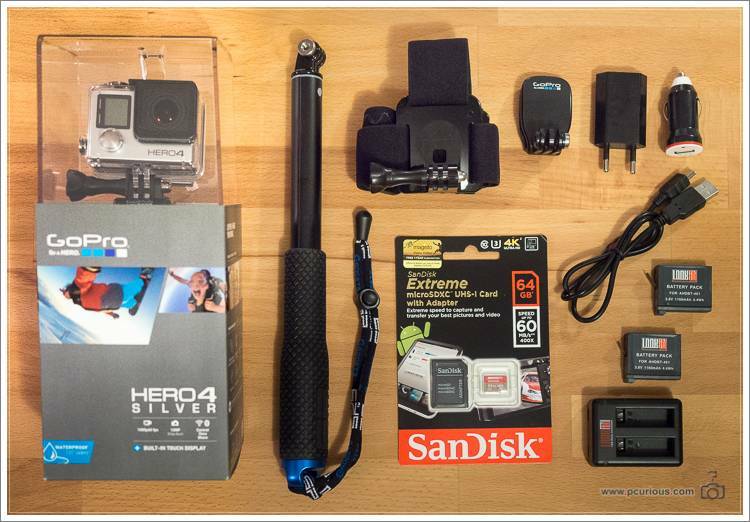 Welcome to the next-generation GoPro buyer’s guide! Just answer a few non-technical questions and find out in 3 minutes or less which model is right for you. Jump directly to the quickest, easiest and most intuitive GoPro buyer’s guide or read below about how and why we created it. Interesting questions, especially the second one. If I may say so, we did most things quite well — didn’t get kidnapped or robbed, didn’t carry many things in our backpacks which we didn’t use and didn’t leave anything at home which we needed on the road. But there is one thing which we sorely missed many times during the trip: a GoPro camera. It’s not that we didn’t know that we would need one or that we forgot about it before the trip. We felt too stressed with other topics and too confused about the differences between the various models. So we didn’t take the time to learn and decide which GoPro is the right one for us. Shortly before we left it was already clear that GoPro will be coming out with the Hero4 models in October of 2014, so we wanted to see what the new models have to offer. The Hero4 models are now available everywhere and they are absolutely great — offering amazing new features and better video, photo and audio quality than any model so far. So you might think that we are glad to have waited. Many people know this feeling: should I buy now or should I wait for the new model. My feeling is that all cameras have long ago reached the point of sufficiency, so there is no reason to wait any more. Better get it now and start learning how to get the most out of it. We wanted a GoPro on our trip so much that we started reading up on the various models, on their features and differences. We explored dozens and dozens of webpages and we watched hundreds of YouTube videos, and they all looked the same: long lists or complex tables narrating the technical features or young guys shooting photos or videos with two random camera models and showing them side by side. While there is value in all of the above, it’s not that helpful for someone new to the GoPro topic. And it’s far from being quick and easy. 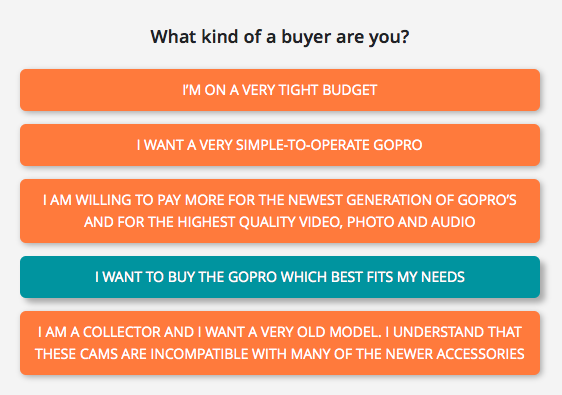 And since we had accumulated all this knowledge about all the differences and about what’s good about the various features, we decided to create a truly useful GoPro buyer’s guide. We call it The Quickest, Easiest and Most Intuitive GoPro Buyer’s Guide, and it works by asking you just a few questions about what’s important to you and how you intend to use your GoPro camera. Depending on your answers it leads you through a different path through the guide and in just 2 minutes it suggests the perfect model for your needs. The test has been up at 1001 Unforgettable Trips for about 2 weeks now and our readers there had a very positive reaction to it, so we decided to share it on Photographically Curious as well. A GoPro is no different from your serious camera: to use it seriously you need at least some accessories. We didn’t even unpack our new Hero4 until all the pieces were there. Make sure that you get the UHS Speed Class 3 version (featuring the number 3 inside a letter U). This costs $5 more than some of the slower cards (speed class 10 or UHS class 1), but it’s fast enough for 4K video with a safety margin. Two spare batteries and a charger with two charge slots. What’s more, using the supplied cigarette lighter adapter, we can also charge our two spares in the car (which is perfect for the outdoor crowd lusting after theGoPros). Note that the batteries of the Hero4 models are not compatible with the earlier models. a POV pole which extends to almost a meter and allows you to place the camera at very low to the ground or high above obstacles. And it’s also good for selfies in the middle of the action. The head strap + quick clip, which we’ll probably use for hiking, scrambling to the top of a mountain or in any occasion where you want to record what’s happening in front or just behind you.